"I Let The Sun Go Down" wasn't played at any of the US shows. Will it finally make an appearance in Canada, or will it have to wait for the eventual UK dates? And No Coffee Table wrote: "I Let The Sun Go Down" wasn't played at any of the US shows. Will it finally make an appearance in Canada, or will it have to wait for the eventual UK dates? Good luck with that one appearing. The BIG psychedelic bridge would be nearly impossible to perform live. Or was the song actually already once performed solo live? I guess a slightly reworked, simpler arrangement can come to pass. Myself? I love the tune. or will it have to wait for the eventual UK dates? You're just winding us up aren't you, unless you've got some insider information !! sulky lad wrote: You're just winding us up aren't you, unless you've got some insider information !! He told Jools Holland that European dates would be announced shortly, but that was in October. 02. Honey, Are You Straight Or Are You Blind? 28. (What's So Funny 'Bout) Peace, Love And Understanding? I blush at the acknowledgement of who made this recording available to you all!!! Errr, can we put the one song here kindly? Thanks guys. bronxapostle wrote: Errr, can we put the one song here kindly? Thanks guys. Lovely. Thanks so much for posting. One of my favorite songs from LOOK NOW, and as presented here, the piano tune/melody would have fit beautifully with the second-half of NORTH. 2 things here. Firstly, amazing how close this take is in all ways to the one released 3 years after. I guess it was one of those songs that just comes to be completely as it is first written. Secondly, AIN'T IF UTTERLY ASTOUNDING HOW GREATLY HE DEBUTS THE SONG LIVE? anyone would be hard pressed to NOT think he sang it MANY times before this take. BUT, I HAVE SEEN THIS BEFORE OVER THE YEARS. Simply, it is why, truly, ELVIS IS KING! Lovely to hear, thanks. Can anyone help me understand why something about his vocals sound, what? Flat on some live recordings? I know it couldn't be that he IS singing flat...must be some sort of acoustic issue with recordings like this one, that the echo/space of the lowish-fidelity sound betrays something...very weirdly consistent as to why I have trouble with (some) live recordings. I can’t quite work out why he sometimes sounds flat either . For a couple of years on the Detour era I cringed when he did Shipbuilding and I’m not sure if it was to do with the ear pieces he wore . VG and I have observed Elvis pull them out during songs where they seem to have irritated him or put him off . Did he use them on this Look Now tour ? still slightly off somehow...i'm wondering if part of his vibrato gets "picked up" by whoever is recording and . . . oh heck, i don't know! sulky lad wrote: VG and I have observed Elvis pull them out during songs where they seem to have irritated him or put him off . Did he use them on this Look Now tour ? no, did not see them this tour. 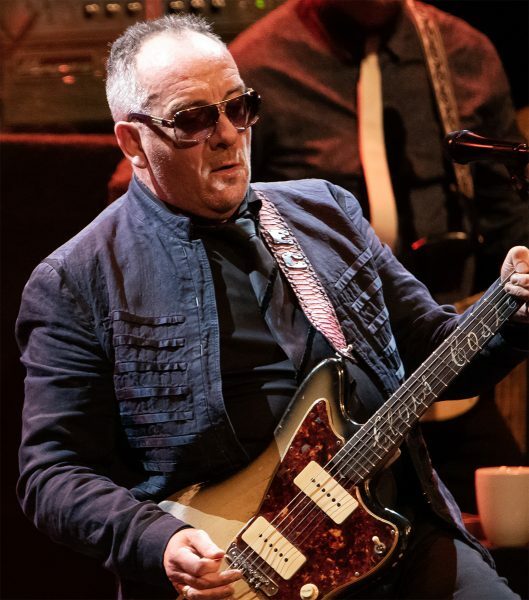 Elvis Costello chose Vancouver as his final stop on his tour for the album Look Now. It’s not hard to wonder why. His ties to B.C. started 15 years ago when he married Nanaimo’s Diana Krall. Look Now is the artist’s 24th studio release and was featured heavily throughout the night. The veteran played some 70 tracks on the tour, so he clearly knows how to mix it up for the crowd. 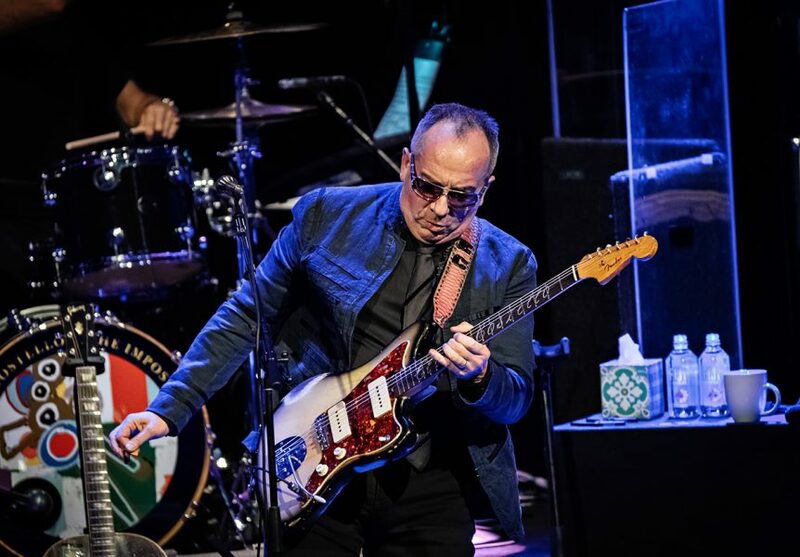 The tour nearly didn’t happen, as Costello was forced to cancel dates for a cancer-related surgery. He is back and no worse for the wear. 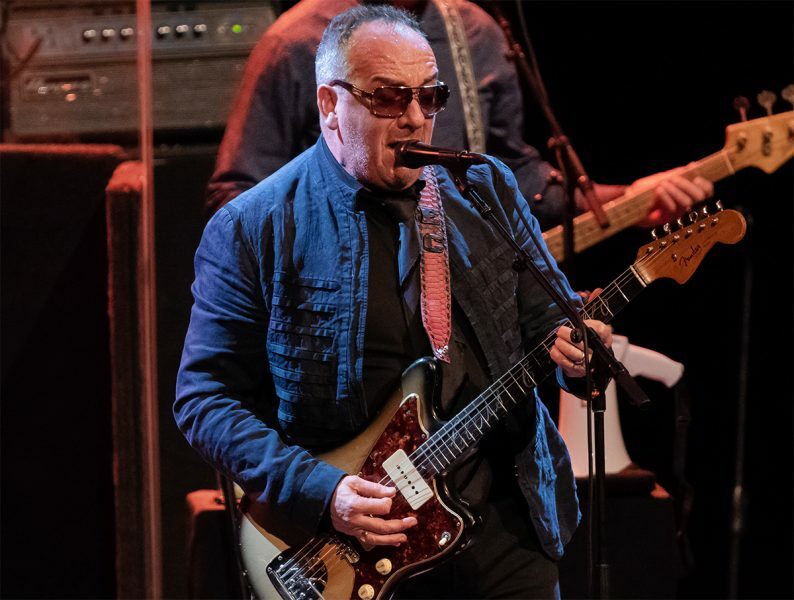 He wove new numbers into a powerful trio of favourites starting with a ska-style “Watching the Detectives,” followed by “Deep Dark Truthful Mirror” and “Radio, Radio.” The versatile musician didn’t stray too far from his fender, except for a brief appearance at the electric piano. 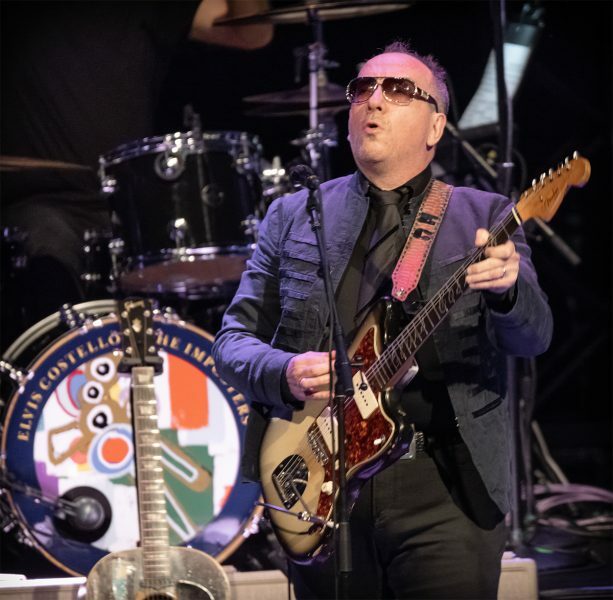 The new record is a throwback to another era and it was well captured when Costello was joined in harmonies by his two excellent touring backing vocalists, Kitten Kuroi and Briana Lee. The pair particularly shined on the classic “Allison,” as well as “Every Day I Write the Book.” One was left to wonder why they did not feature more. The main set was a healthy two hours and 17 songs, but there was clearly more to come. After a short break, Costello kicked off the encore accompanied only by the excellent Nieve on the grand piano for “Accidents Will Happen.” This was followed by the Soul Ballad “Almost Blue” from the Imperial Bedroom record. “Under Lime” is the peppiest track from the new record and had the Tuesday night crowd bopping before he closed the first encore with “Pump it Up,” which had everyone on their feet. Costello left the stage after the nine-song encore, only to come back for two more, including the evening closer, Nick Lowe-penned “What’s so Funny about) Peace, Love and Understanding.” This gave everyone what they had been waiting for and ensured all would exit into the brisk winter night with smiles on their faces. He is no rookie, but all signs point to more homecomings. Very nice audio of these. Will any of the newer shows be shared on the wiki?